Pablo Hernandez may finally have a chance to sit back and realize how much he has accomplished. 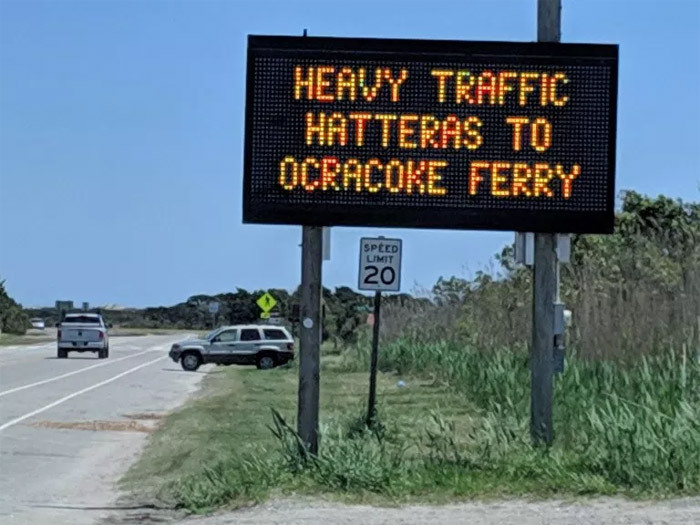 He’s the North Carolina Department of Transportation resident engineer for the Manteo office, which means he wears a lot of hats, but mostly it means he was the eyes, ears and supervisor for the Herbert C. Bonner Bridge replacement project. Gov. 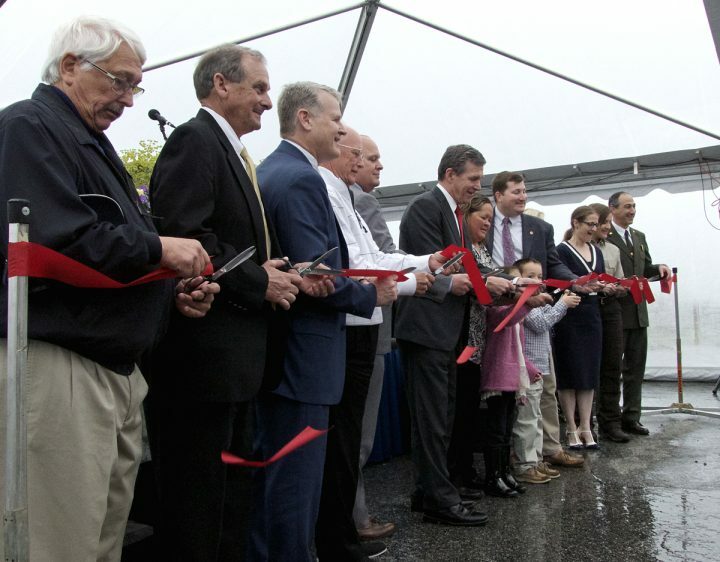 Roy Cooper attended the ribbon-cutting ceremony Tuesday for the Marc Basnight Bridge, which opened to traffic Feb. 25. Hernandez could finally take a deep breath and relax for a bit, but not for too long. 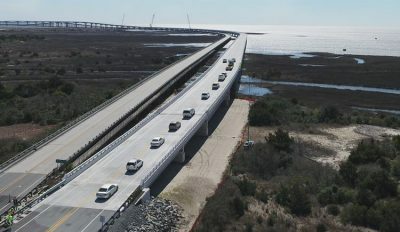 The bridge is the largest and most expensive part of a $500 million project to keep the road to Hatteras Island open, but there is still a bridge to be built north of Rodanthe and the dismantling of the Bonner Bridge on the to-do list. The Marc Basnight Bridge is a massive structure dwarfing the old Bonner Bridge just to the east of it. The Bonner Bridge had one high-rise span for shipping while the Basnight Bridge has seven, an acknowledgment that the Oregon Inlet channel will shift over time. The new bridge is far better built than the Bonner Bridge, Hernandez said. The Bonner Bridge had a design life of 30 years but its replacement is designed to last 100. “There’s new chemicals and add mixture and new design techniques. We just have a better feel for how things are put together and learned from the past on what did not perform as we liked and (we’ve) gained that cost-benefit analysis where just a minor investment will get you another 10, 15 years or even more,” Hernandez said. 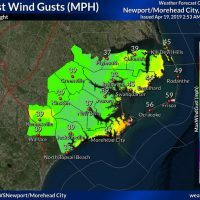 Hernandez has been the department’s Manteo resident engineer since 2013, and before that he was the assistant engineer for the office. With that history, he has come to understand how complex the journey to get to this point has been. 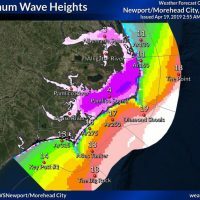 Some of that is the environment, some of it human factors and some the business of the Outer Banks. Building the span was not without its twists and turns. 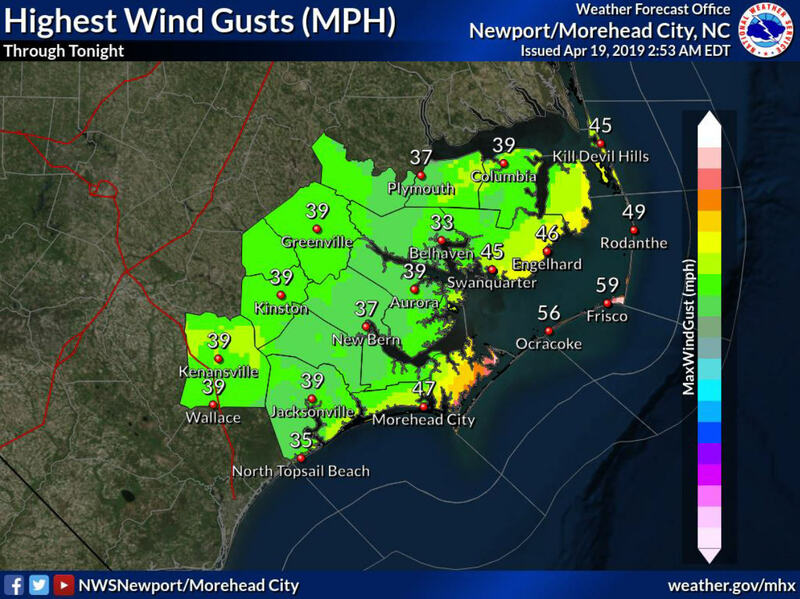 The low point was when construction workers finishing up for the night drove a steel casing through the power cable to Hatteras Island in July 2017, leaving both Hatteras and Ocracoke islands in the dark for almost two weeks during the busy summer season. The accident was surprising, he explained, because contractor PCL had taken steps to avoid that type of mistake. Before construction began, the company had maps created to identify the power line locations. “PCL wasn’t even on site but they were sending their surveyor here. Just to avoid what happened,” he said. Despite that accident, Hernandez said the quality of the work PCL did was excellent. “I am ever so grateful and thankful for the relationship we had with PCL,” he said. As the project winds down, the first pieces of the old Bonner Bridge have been removed. For Hernandez it’s a bit bittersweet. “You’ve been in such a geared up mode where one step leads to the next step. Especially on these long bridges where there’s a lot going on all the time. You’re so geared up all the time, it’s hard to come down from that,” he said. 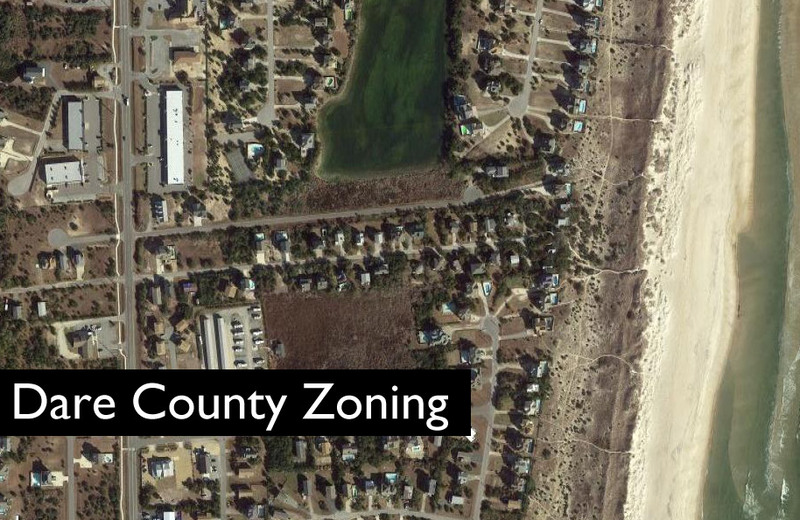 As the resident engineer, Hernandez has had a front-row seat to the twists and turns of the debates and lawsuits that have plagued the projects on Pea Island. He is not quite a spectator though. The decisions that are handed down through lawsuits or policy directly affect what he is building. When Hurricane Irene created a new inlet at New Inlet on Pea Island in 2011, NCDOT had a temporary bridge in place within two months. Planning began immediately for a permanent solution and the agency was moving forward to begin construction. 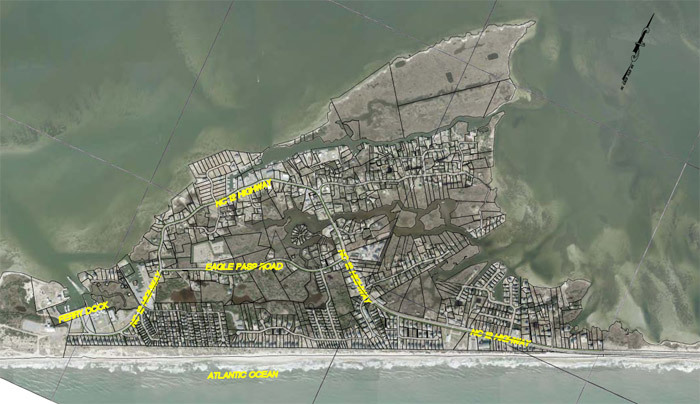 In 2015 the Southern Environmental Law Center and NCDOT agreed on a master plan for Pea Island, ending the lawsuits. The New Inlet area was designated for more study with what would be considered a short-term bridge built. 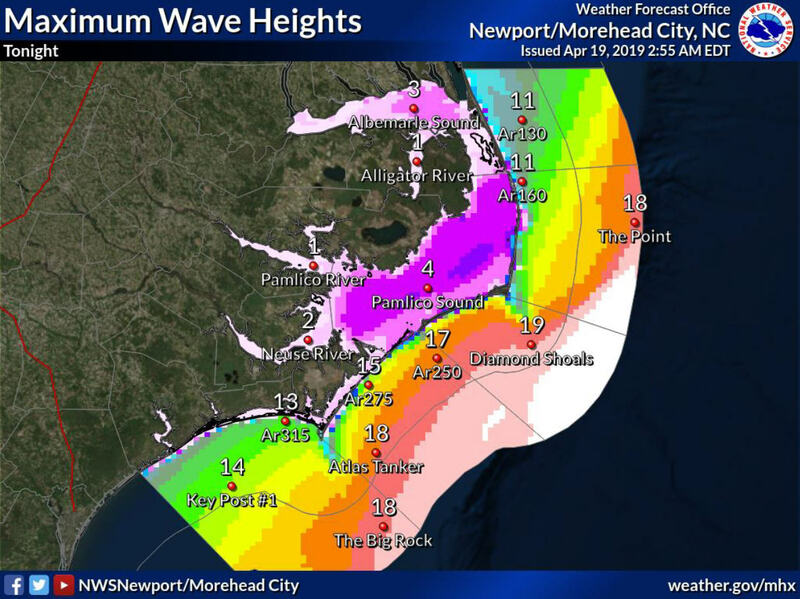 “One of the components of the lawsuit settlement was building a short-term improvement at New Inlet versus a long-term improvement. With that short-term improvement, we went from a 2-mile-long, 100-year-design life structure to a 2,500-foot-long structure with about a 20- to 30- or 50-year-design life,” Hernandez said, acknowledging that when he graduated from Virginia Tech, a 25-year-design life would have been considered fairly permanent. 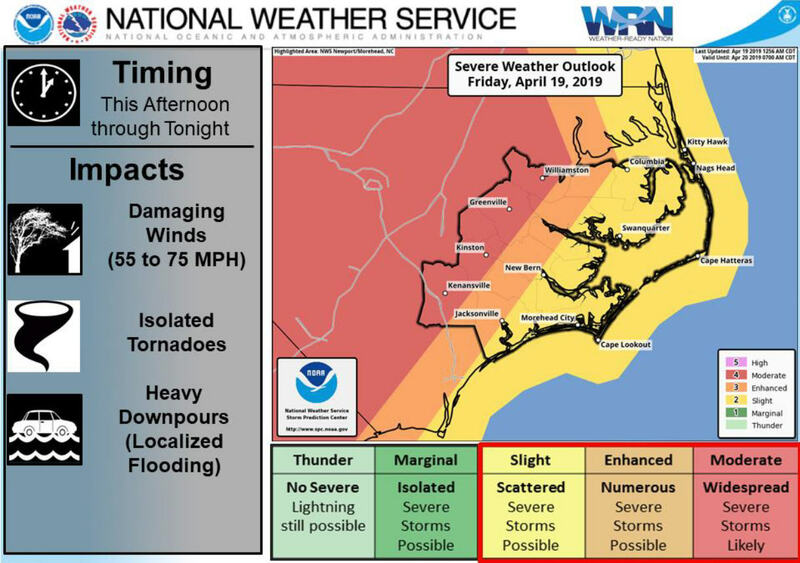 The lawsuit also halted NCDOT plans to bridge the S-Curves north of Rodanthe. That bridge would have followed the existing road and it, too, would have had a 100-year-design life. “The alternative that had the most favor, the preferred alternative at the time, was keeping inside the existing N.C. 12 easement. There’s some real advantage to that,” he said. 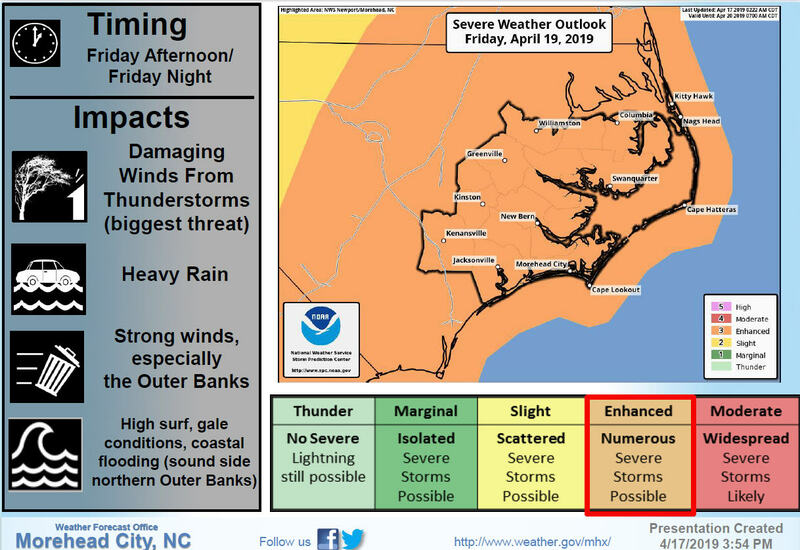 The settlement though, changed that, creating a bridge shaped like a jug handle over Pamlico Sound. “That was part of the settlement, that we would take a second look at going into the sound. 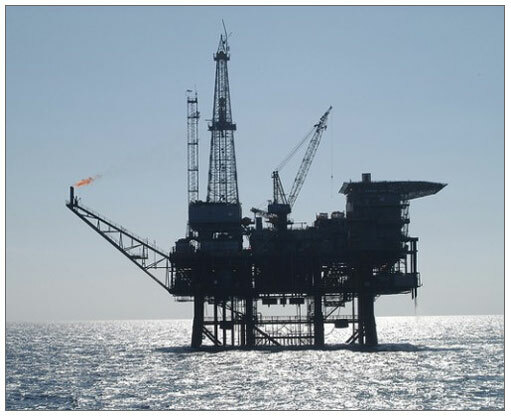 Some agencies were not very thrilled with that option because we start impacting their jurisdictional areas,” he said. There is agreement that the S-Curve area of N.C. 12 cannot be saved. The original NCDOT plans called for a bridge over the entire area. 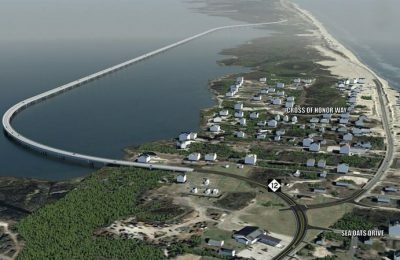 The “jug handle,” as the project is popularly called, will be a bridge that is 25 feet, 3 inches above the water, crossing the marsh to the west of Pea Island and coming back to land on the north end of Rodanthe. When completed, it will have a design life of 100 years. The bridge will cross some sensitive areas. The jug-handle project is moving forward. 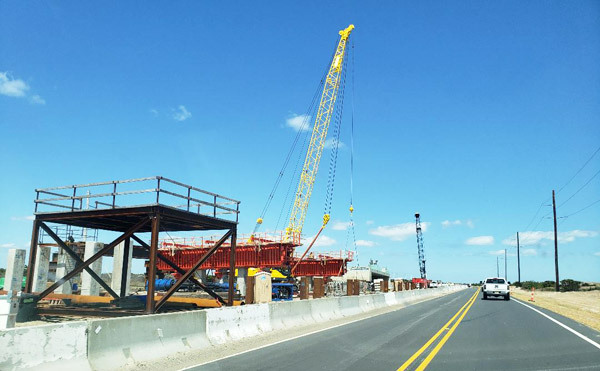 There are construction challenges that are not as daunting, perhaps, as the Marc Basnight Bridge, but the staging areas for its construction are limited, especially on the north end, and water depth in Pamlico Sound is too shallow and fickle to move construction materials by barge. As each section is built, it becomes the platform for work on the next. 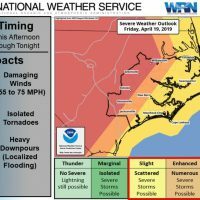 According to NCDOT, the bridge should open to traffic in 2020. Also in the project mix is dismantling the Bonner Bridge — not demolishing, but dismantling. 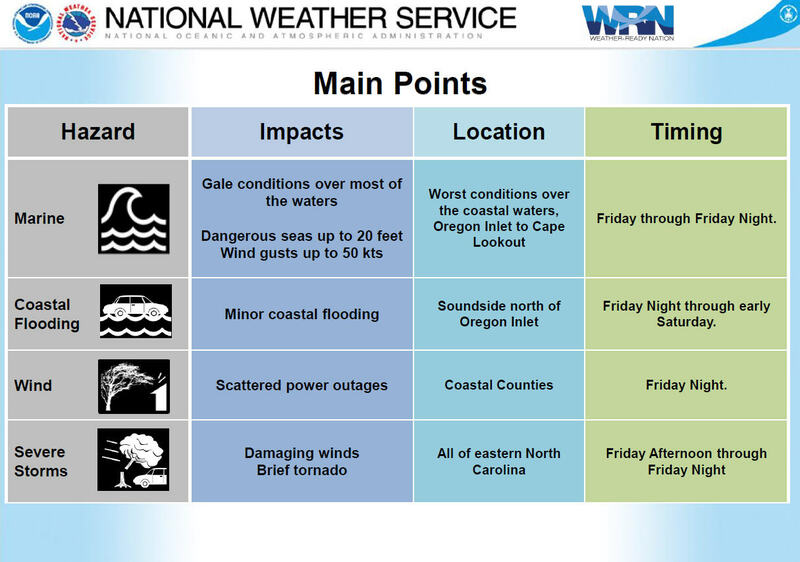 Technically more difficult than demolition, there are concerns with weather and stress on a weakened structure. Plans for the old bridge call for the material to be cleaned and used to create an offshore reef. However, the Basnight Bridge is the crown jewel of the Pea Island projects. For residents and visitors who had watched the progress of the bridge, driven by it on the Bonner Bridge, crossing the new span was a powerful experience. Hernandez rode across the bridge before almost anyone else and getting to the top created a special moment for him as well. We are extremely fortunate to have Pablo here. His leadership results in rapid clearing of NC 12 during storm events and that is a real help to the Island.